KA Leisure works in partnership with several local clubs and organisations to promote, co-ordinate and develop the participation of sports and physical activity for people of all ages with a disability throughout North Ayrshire. In doing so we assist in developing sustainable pathways towards excellence and raising the profile of sport for people with a disability locally and nationally. 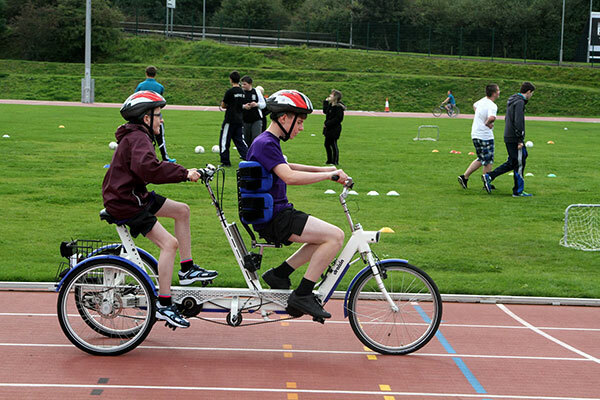 Ayrshire Sportsability is the main sports organisation in the area committed to the provision of opportunities of people of all ages with a disability. As well as running their annual festival of sport they also provide an annual calendar of sports specific events giving everyone who take part the opportunity of trying new sport, qualifying for regional pathway events and talent identification. 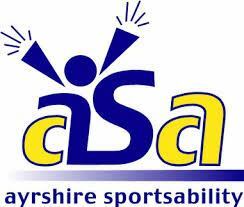 Ayrshire Sportsability is also the local branch of Scottish Disability Sport, the National Governing Body (NGB) of Sport for People with a Disability in Scotland. NAAC Additional Support Needs Group Athletics Sessions run by North Ayrshire Athletics Club these sessions are open to people of all ages with a disability, taking place on Sunday mornings at KA Campus, St. Matthew’s Academy, Saltcoats. This local swimming club for people with Disabilities is based at Garnock Community Campus in Glengarnock. The group meets most Saturdays from 3.00pm – 4.30pm. 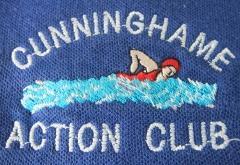 Recreational & Competitive Swimming where participants can progress to regional and national pathways. Organised and run by KA Leisure these friendly annual competitions take pace in August as part of the bigger local Marymass Festival in Irvine and consist of three separate sporting competitions of Carpet Bowls, Lawn Bowls and a Special Highland Games.